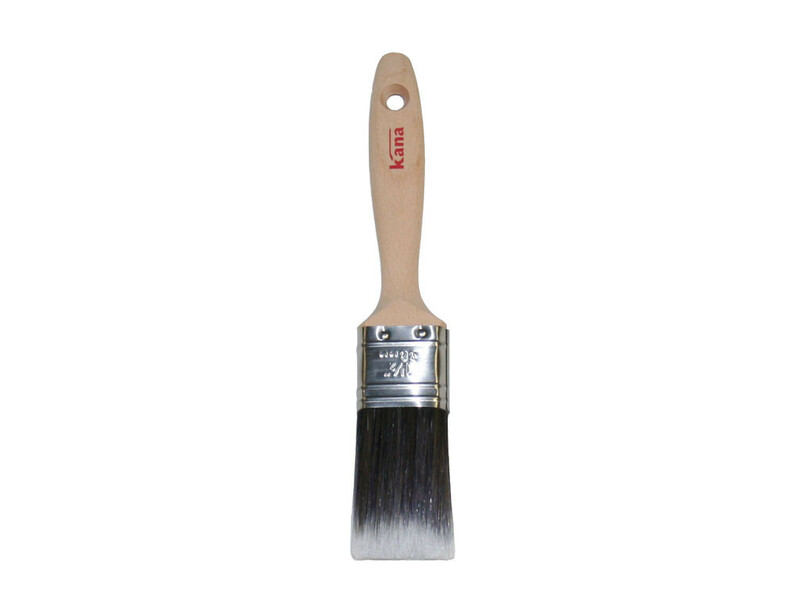 Kana Premier Advanced Synthetic paint brush for excellent cutting-in and detail control and suitable for either interior and exterior painting. Rust-resistant stainless steel ferrule and soft brush filaments. Premier advanced paint brushes feature DuPont synthetic tapered filament providing excellent paint loading and gradual paint release to ensure that paint is distributed evenly through the brush, resulting in a brush mark free fine finish. Long lasting synthetic filaments giving 7x longer life and significantly faster cleaning times. Ideal for use with all paints, optimum performance with emulsion and other water-based paints. Paint brush size; 1.5 Inch (38mm).